Donor App is a mobile app to try to boost the numbers of blood donors in Russia, where donations have fallen by more than a half over the past 15 years — from 4 million a year in 1998 to 1.7 million today. The app stores a profile of your history of blood donations, gives advice on recovery, and sends reminders and suggested appointment times when you are next due to give blood. It inspires action by showing how and where people need blood. The app gives you maps to the nearest transfusion centres, and incentivises action with rewards that include vouchers for local businesses and free entry to museums. You will also receive a digital badge showing you’ve donated blood that you can publish on social media platforms. ‘In Soviet times, donors did not even think about earning money from their blood. 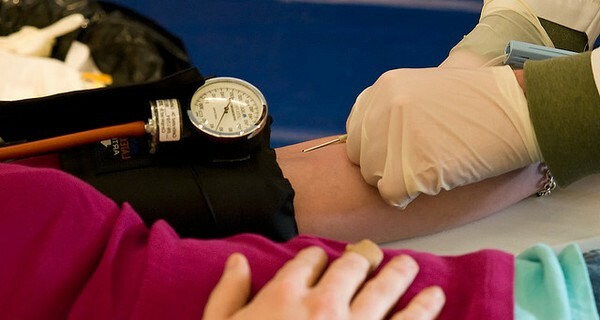 This originated during the crisis years, and led to the decline of the idea of giving blood as a noble, and philanthropic act.’ The project, which is funded from a competition grant given by Microsoft, is being tested in Moscow and St Petersburg but will be available for download throughout the country soon. Image 'Gina Donates Blood' courtesy of Michael B.